SM Sale again! - Triple Joys!!! Good news to all shoppers out there, if you've missed the previous SM SALEs, you can again have a chance to shop! 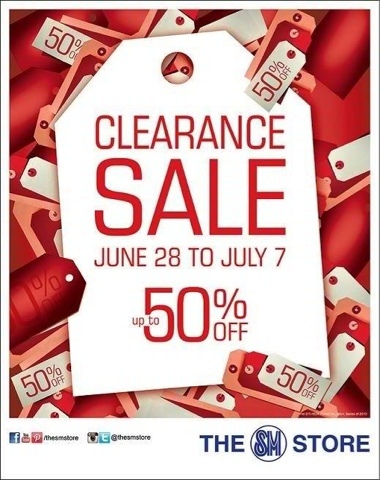 SM Stores will be holding a 10-day Clearance Sale from June 28 to July 7. So what are you waiting for, get your shopping bags ready and start to shop starting tomorrow!